Parquet Courts had a very good 2013. Their debut album, Light Up Gold, was re-released on What’s Your Rupture? to rapturous acclaim, and their live shows have become somewhat legendary. Live and on record, the band flaunts a defiantly youthful energy that resuscitates classic indie rock tropes and perfectly captured mid-20s bohemia. Late in the year, they released the great Tally All the Things That You Broke EP (which I called one of the best EPs of 2013), finding the band honing its sound and growing wilder, even funkier as Andrew Savage’s vocals are more confident and strident, sing-talking and even sort of rapping, while the band tosses out knotty, catchy riffs with apparent ease. “The more you use it, the more it works!” Savage cries on one of Tally’s songs, as if echoing his own band’s tour-and-release-heavy year, which has clearly paid off. The subject matter of the band’s songs is another matter. On its most famous song, Light Up Gold’s “Stoned and Starving,” the title says it all as Savage details a muchies-fueled trip through Ridgewood, Queens. But don’t call Parquet Courts “stoner rock” or “slacker rock” to Savage’s face. It doesn’t seem like young guitar-and-bass rock bands get reviews like you guys did for Light Up Gold anymore. Was it surreal to get those kinds of reviews across the board? Savage: It did kind of happened very quickly. But the way that it kind of rolled, it was kind of in all these really quick baby steps. Let me put it this way: I released the album originally on my own label, Dull Tools. To me it would’ve been a huge success if we sold the original pressing of 500 in, like, a year’s time. Turns out we sold it in three months. So that was the first very big surprise for me. And then when various accolades started coming in, I definitely didn’t forsee that coming. The biggest laudation for me would be from my friends, people close to me who know where I’m coming from, just hearing good things from my buddies are the best reviews and accolades I could ask for. It’s always great when someone has something nice to say about your music. It’s a little bit abstract when you don’t know that person or where they’re coming from. Sometimes, with me anyway, praise isn’t always the best thing because people do have the tendency to hop on bandwagons. If anything, it’s taught me to be weary of where your endorsements are coming from. That’s interesting. Was there anything specifically that made you weary of certain endorsements? Savage: You can just tell when people are doing it blindly, and when people who might not otherwise be interested in your band under circumstances where there isn’t, like, a presence in the media or blogosphere, people that you feel like wouldn’t be interested in you suddenly are. I’m not really an elitist, I’m not gonna say, "you can’t like my band ’cause you’re square." That’s not my attitude. But I’m not stupid. I realize that these are people with jobs and like any sort of person with a job, sometimes stuff gets turned in at 4:45 on a Friday. It seems like to me, when a band gets a lot of good reviews, there’s a first group of them that really define the rest of them and everybody else is kind of copying off them, you know? That’s really all I’m talking about. But I’m not complaining, I realize that’s kind of the way things go. Is Tally All the Things You Broke made up of newer songs or outtakes from the last one? Savage: It’s newer songs. We stared recording the new album back in April, and we did two recording sessions for it. The first time, in April, we recorded I think 20 songs, then we just picked five of them because we wanted to do an EP. Some of my favorite records are EPs, and I’ve always wanted to do 12” 45. So we just picked five songs that we thought would be good together. The newer songs sound a little funkier to me, sort of gives me a Fall vibe. Is that the direction the band is taking? Savage: It’s hard for me because I’m in the band, in the eye of the hurricane. It’s hard for me to gauge how the band’s sound has changed over such a short period of three records. “He’s Seeing Paths,” that was one of the first Parquet Courts songs. That was one that didn’t really work out originally, and we decided to come back to it and kind of found out exactly how we needed to do it. It’s not drastically different from what Light Up Gold was or what our next record will be. It’s an EP. It doesn’t need to be put under a microscope. It’s just five songs, we weren’t really trying to make a big statement with that one, we just wanted to put some more songs out there. It seems like people can’t talk about the band without immediately lauching into references like Pavement and Guided By Voices. I’m not sure why that is; people don’t immediately start talking about Janet Jackson when it’s some new pop diva, for instance. Does it feel limiting to constantly have those comparisons? Savage: That’s true. It’s not limiting. It gets annoying for me because, well, I mean I understand people need to make a point of reference to initiate someone who’s unacquainted. I think to me it’s a little lazy because instead of talking about how the band sounds … they try to talk about the band’s identity within the larger rock music scene. … That’s kind of what I was talking about earlier. We’ve gotten some really glowing reviews, but they say "they sound like the next this or that." 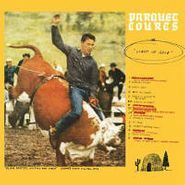 We didn’t aim to be the next this or that, we’re aiming to be Parquet Courts. … Obviously we are part of some sort of lineage, I think, but I like to think we’re kind of carving our way into a new one ourselves. I know you guys all knew each other in Texas before moving to New York, and that you guys strongly identify with the city. Was that always a destination in mind when you guys moved out there, in location and sound? Savage: No, moving to New York was kind of like a decision I made when all of a sudden I felt like the town I lived in in Texas was feeling super small. I didn’t move to New York to start Parquet Courts or anything. Nobody did. Everyone came on their own different terms. No one moved here to be in a band. We all just sort of found ourselves here and met each other or I introduced people. A lot of attention focused on “Stoned and Starving” and sort of labeling you guys as stoner or slacker rock. Does that bother you at all, or is that just sort of par for the course? Savage: A little bit, yeah, because A, the slacker thing, we definitely aren’t. We toured for six months out of this year and we practice three times a week, and I’m always working on artwork for Parquet Courts. I think ‘slacker’ sort of implies you have no goals or motivations or aspirations, which isn’t true. 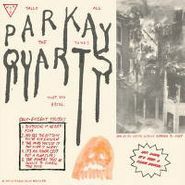 I don’t think a band like Parquet Courts could exist if we were all just kind of lazy. The stoner thing, obviously that’s a song about smoking pot … but I mean, who doesn’t smoke pot? I barely know anybody that doesn’t—family, friends, young, old. Can I not sing about it without being labeled a stoner? It’s not like we sound like Sleep or anything. … I don’t think we make stoner music or drug music or psychedelic music. I think we do have a tendency to improvise, and sometimes people confuse that with psychedelia or something. It’s just a song about being lost in a part of town you don’t know, and kind of just wandering and on top of that being blazed. I mean, I guess I could see it because there’s another named “Yr No Stoner” and people may just immediately make assumptions. Savage: Yeah, but people don’t even call Willie Nelson stoner rock, you know? Speaking of “Stoned and Starving,” I’ve read that song has grown into a bigger beast live. Did that sort of happen naturally or did you guys want a chance to kind of jam and show what you could do? Savage: It’s especially fun [because] everybody in this band has gotten pretty tight on their instruments. So when we got to the end of that song, we didn’t want to stop, we just kind of wanted to keep going. In a lot of cases, I feel like the audience didn’t want us to stop. It’s fun. Sometimes we’ll play it and it’ll be like 12 minutes long. The records really do sort of sound like bottled-up live shows, sort of like Pixies albums did. Was it tough to translate that energy onto record? Savage: No, because the record was recorded live, like a show, you know? That record was. What songs are your favorites to play live, and which are the hardest or your least favorite? Savage: Lately, a lot of the new stuff has been my funnest to play live. “Sunbathing Animals,” a new song that we have, is pretty fun to play live. We’ve had it in the set for about a year now. “Master of My Craft” and “Stoned and Starving” are both really fun ones that we do live, especially ’cause they sort of blend together. “Master of My Craft” has sort of a fun little part that allows for some improvisation at the end. I don’t know if any of our songs are particularly hard to play though. Savage: We’re gonna have a new record come out. We’re gonna be playing live a lot. We’re gonna go to Australia and New Zealand next month, and it looks like we’re gonna be going to South America in April. We’ll do the usual United States/North America and Europe too. Savage: My favorite holiday is Thanksgiving, but there’s not really any songs for that holiday. 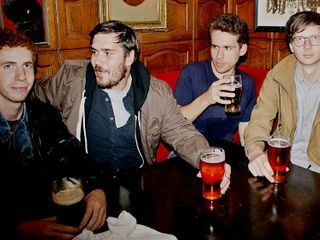 Parquet Courts play The Fonda Theatre Jan. 17 with White Fence. Get tickets for $17.50 (plus a $2 service fee) at Amoeba Hollywood while they last. See all of Amoeba's available tickets here. Check out my Top EPs of 2013 list.